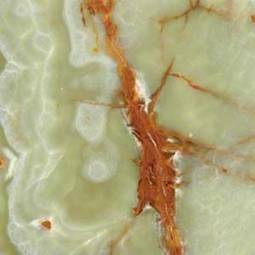 Multi Green Onyx is quintessentially elegant with its distinctive light-green tones with rust-and-white veins. 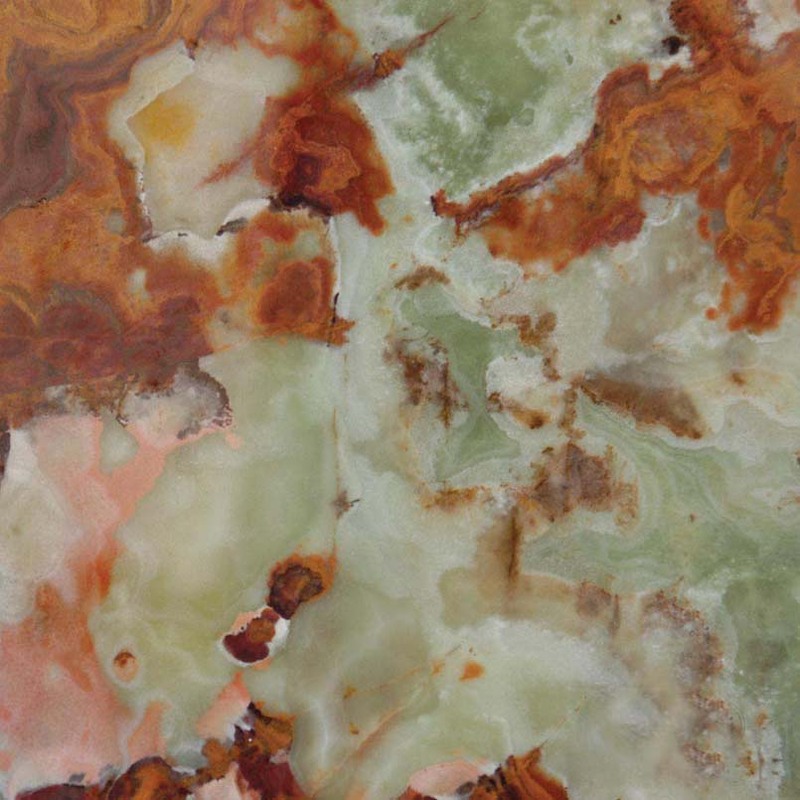 This polished onyx is available in slabs, mosaics, and tiles, and is recommended for residential countertops, walls, flooring, and designer projects. Achieve a vibrant, eclectic look with this beautiful collection.